There are few streets in NYC as iconic as Madison Avenue. Sure, there’s 5th Avenue. And of course 42nd Street beckons to all lovers of Broadway. But for me, there’s just something about Madison Avenue that feels really special. 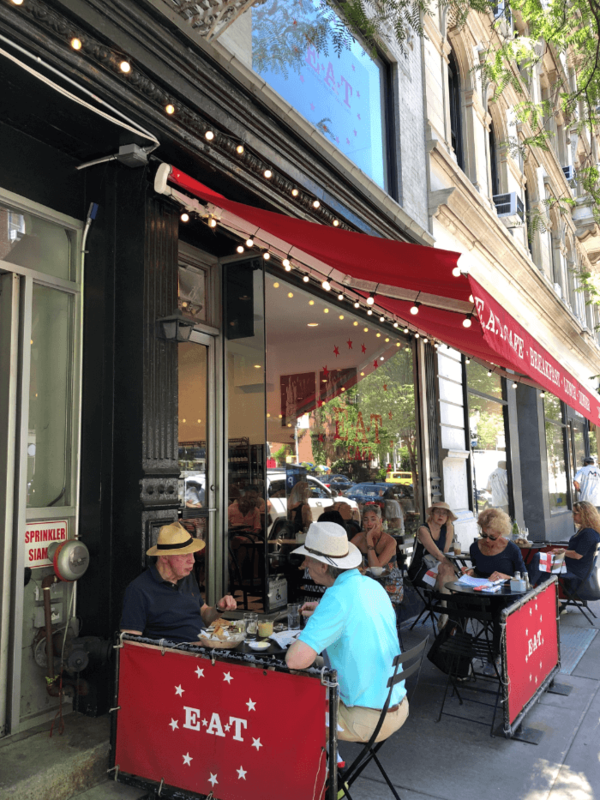 I love to stroll down Madison Avenue, and a few blocks to the west and to the east, and today I’m sharing with you my favorite stops as we stroll down Madison Avenue together. A little history about Madison Avenue: Madison Avenue was built in 1836, and was not part of the original New York street plan. It was named after former President James Madison, who had just died. In the 1920s it became a fashionable district for advertising agencies, and eventually Madison Avenue became synonymous with the Advertisers a la “Mad Men.” Calling the advertising industry “Madison Avenue” after the street it clustered around is in keeping with the New York habit of calling local industry after north-south streets, as in “Broadway” for the theater business and “Fifth Avenue” for high-end retail. The stretch of the Madison Avenue I particularly enjoy begins in the Upper East side, at 93rd Street. Let’s begin our stroll! The Jewish Museum is located between 93rd and 92nd at 5th Ave., one block west of Madison. This gorgeous museum is worth visiting for its permanent exhibits, as well as its temporary exhibits. 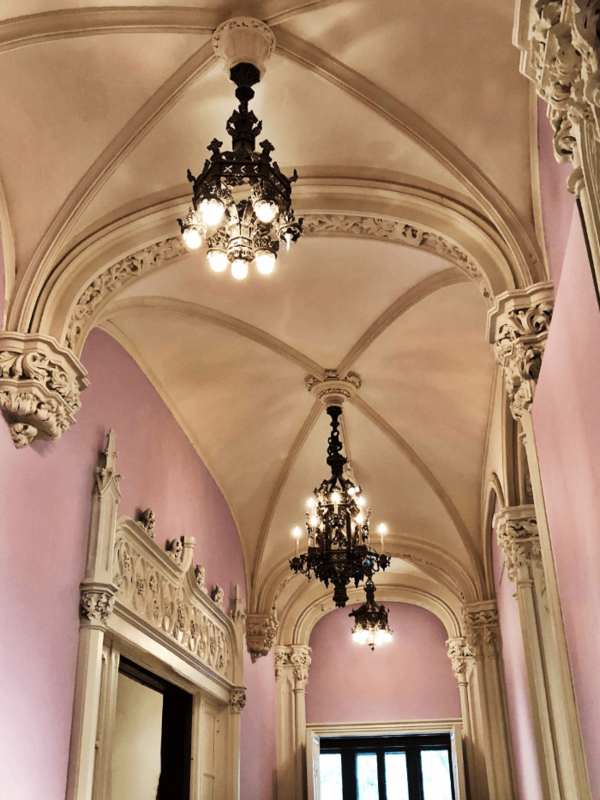 And I also love that the museum is primarily housed in one of those amazing Gilded Age homes, located along New York City’s Museum Mile, and designed in the French Gothic chateau-style by architect Charles P.H. Gilbert. The original building was completed in 1908. 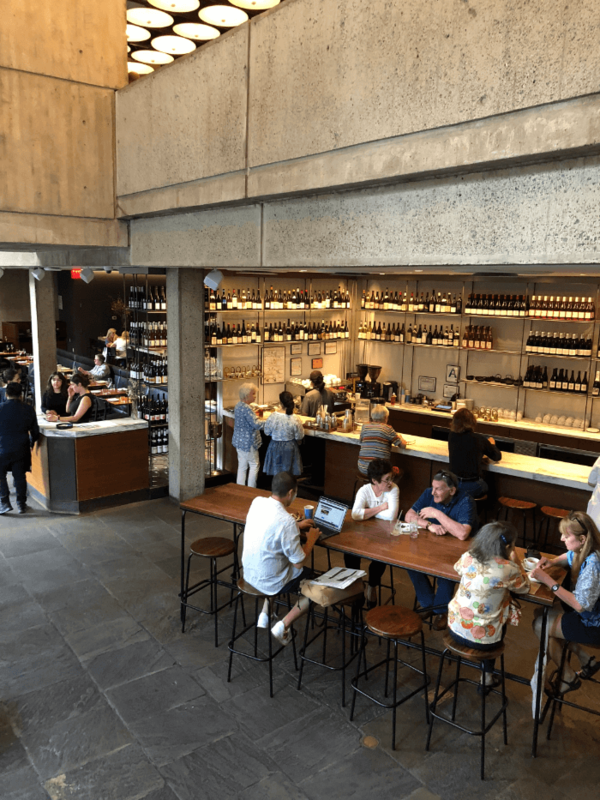 I suggested in this post that y’all check out the restaurant Russ & Daughters in the basement…it’s FABULOUS! 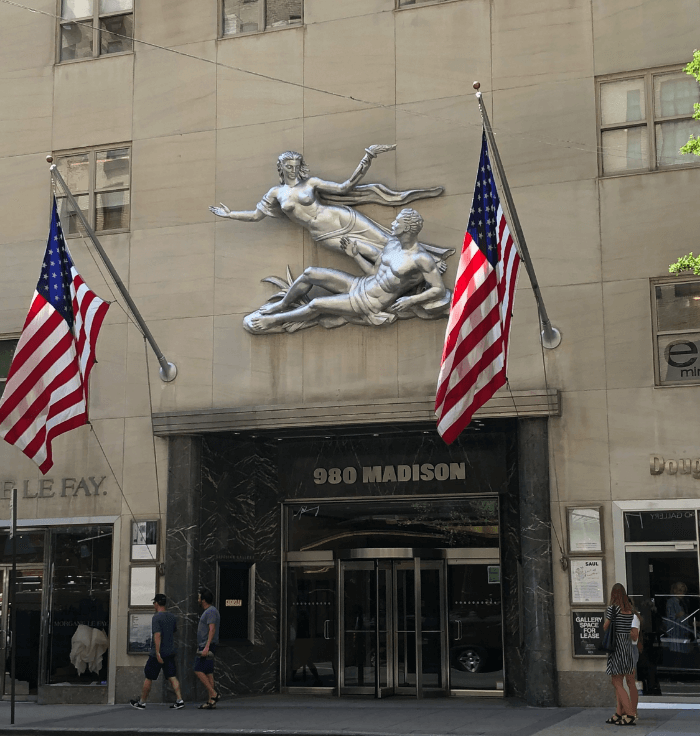 Back on Madison, as you continue to walk south, you will have the opportunity to pop in some of New York’s best high-end boutiques and stores. Excellent window shopping! 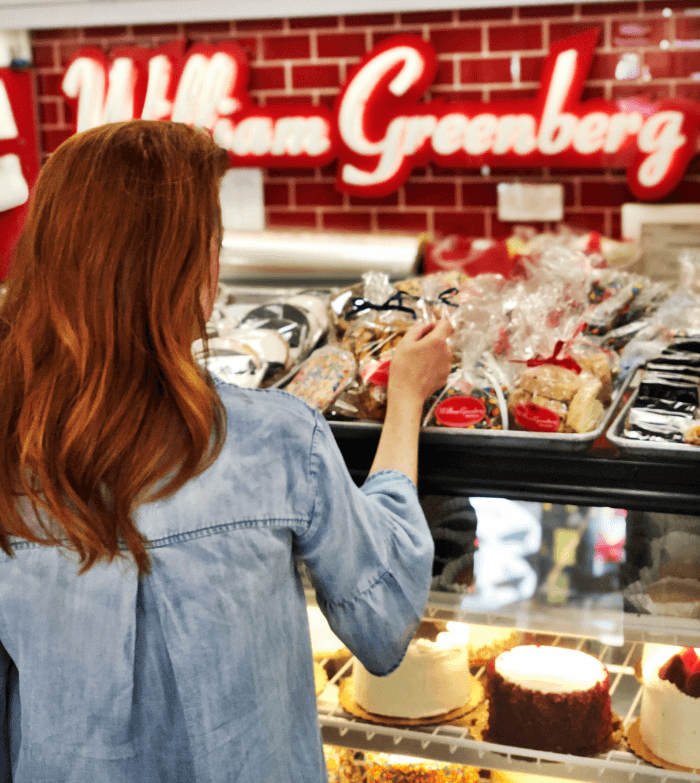 Between 83rd and 82nd you will find William Greenberg Desserts. This tiny Jewish Bakery has the MOST delicious hamantaschen . According to The Nosher, “Hamantaschen are the triangular pastries associated with the holiday of Purim, when Jews read from the Book of Esther, the Megillah, and celebrate the triumph of good (Esther) over evil (Haman, who planned to destroy the Jewish people).” These cookies are basically shortbread, shaped like triangles, and filled with anything from Nutella to fruit. I highly recommend the poppy seed variety! All credit goes to Josh Lowenfels, whom I profiled in this post, for the introduction! Are you ready to go to NYC yet? Have a hotel in mind? 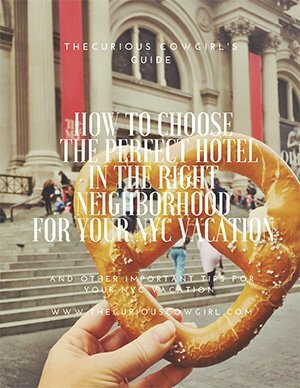 I’ve got a FREE NYC Hotel Guide….just click on the image below to get your FREE guide! A favorite spot for a bite is E.A.T., between 81st and 80th. The food here is fantastic, and I never miss the opportunity to pick up a couple of bags of tiny cookies for snacking later. The black and white shortbread and the chocolate chip are my favorites!!! Immediately next door is E.A.T. Gifts. This store is SUPER fun! 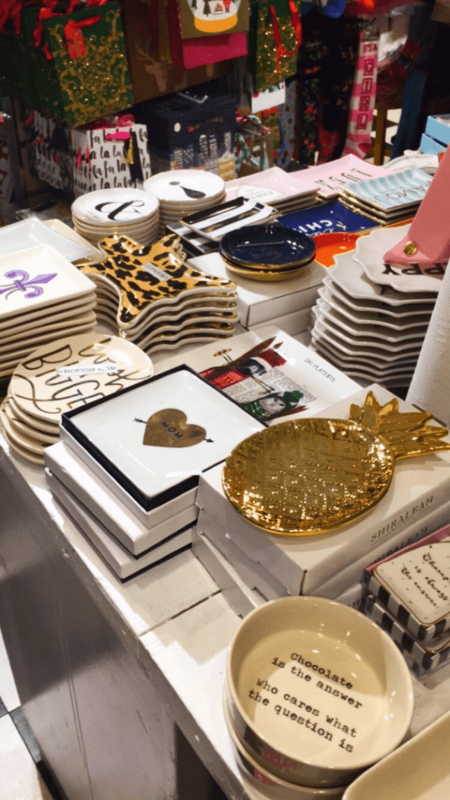 Lots of quirky, funny and unique items, and a great spot for picking up sussies for friends or kids who will want a little souvenir from your trip to NYC. 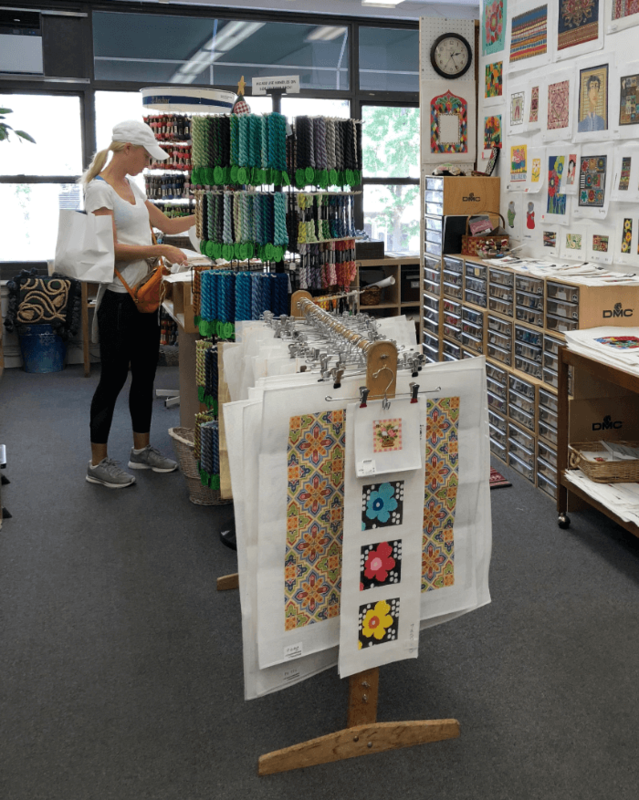 Ya’ll know how much I love needlepoint from this post, and I love to pick up canvases whenever I travel! Two blocks east of Madison Avenue is one of two needlepoint shops in NYC I love. 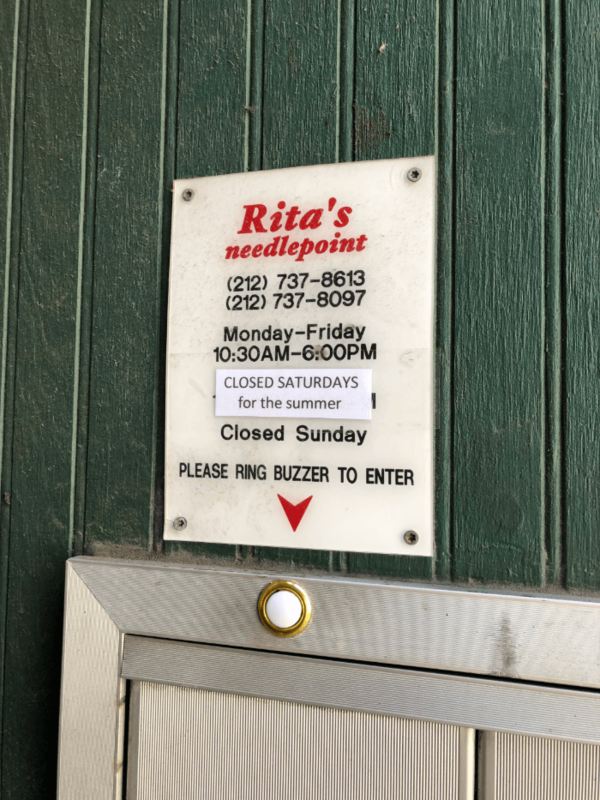 Rita’s Needlepoint is located at 79th and Lexington. This tiny shop is located on the second floor, so you have to look for the sign on a door at street level, and then be buzzed in. There’s an excellent selection of canvases and threads! At 980 Madison Ave., you can visit several contemporary art galleries on the upper floors, such as the Gagosian Gallery. Worth a stop in to see what cutting edge artists are doing. The MET Breuer is at the corner of Madison and 75th. This is an excellent museum to experience art of the 20th and 21st centuries. There’s also a great restaurant on the basement level, for coffee or a cocktail. Hip and cool environment for sure! The Ralph Lauren Store, at Madison and 72nd is just glorious! Check out this article in Architectural Digest about the history of this Beau Arts Mansion. 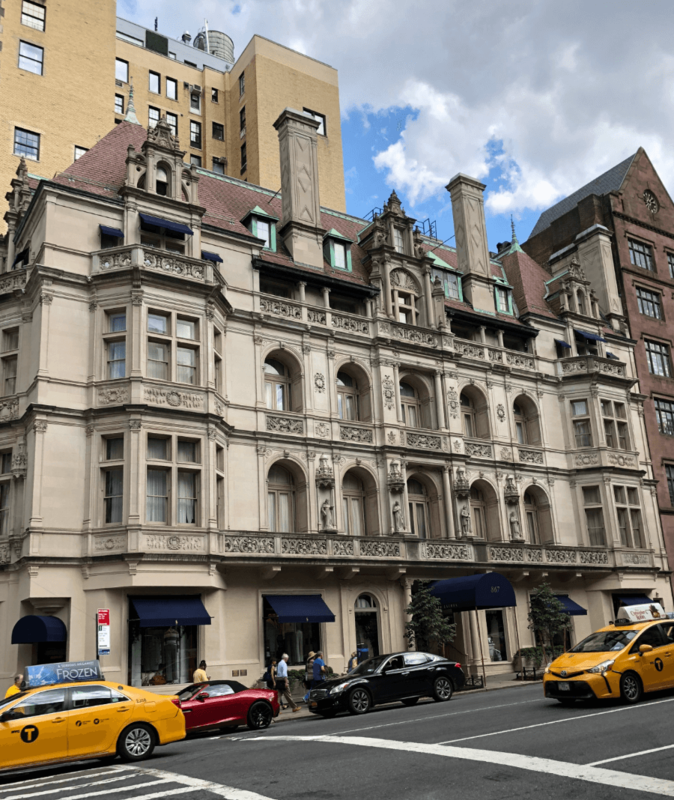 And, of course, The Frick Collection, located on 70th, between Madison and 5th Avenue is a not-to-be missed museum in NYC. Once you reach 58th street, you are at the southern end of Central Park, where the traffic and people gets much more congested, and less charming. How long is that “stroll’? From 93rd to 58th is 2 miles….not a crazy long distance, especially with so many wonderful distractions along the way! 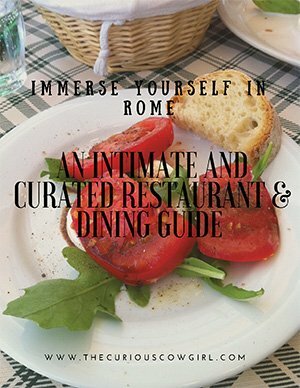 For a complete list of my favorite restaurants throughout NYC, my NYC Restaurant Guide is only $10 and has over 30 restaurant suggestions, organized by part of town, and includes phone numbers, and information about those that participate on Open Table. Worth every penny y’all!!!! I’ve never been to NYC, but I will for sure need to remember to stroll down Madison Avenue! William Greenberg Desserts look so so good! One of my favorite stretches of Manhattan, wonderful post !! Oh how fun!!!! It will be COLD in February for sure! 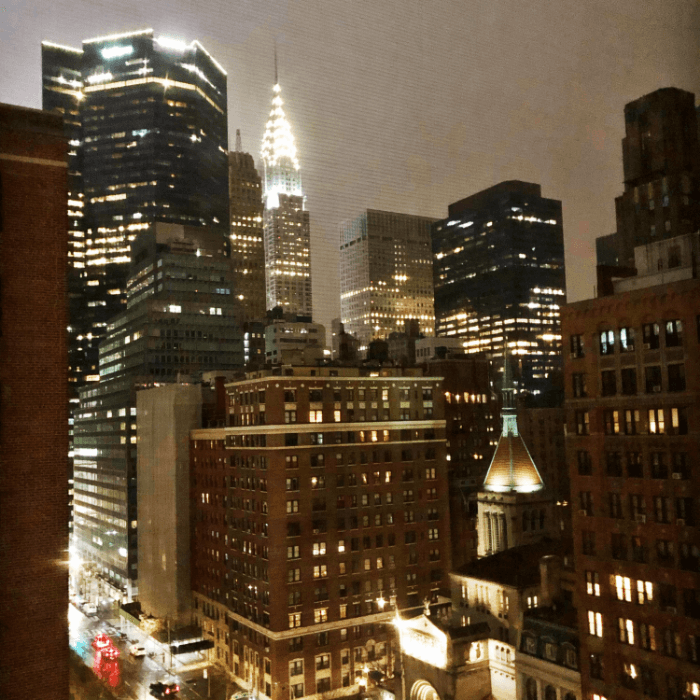 Make sure you are subscribed to my Blog, as I have several posts planned for enjoying NYC in the Winter! 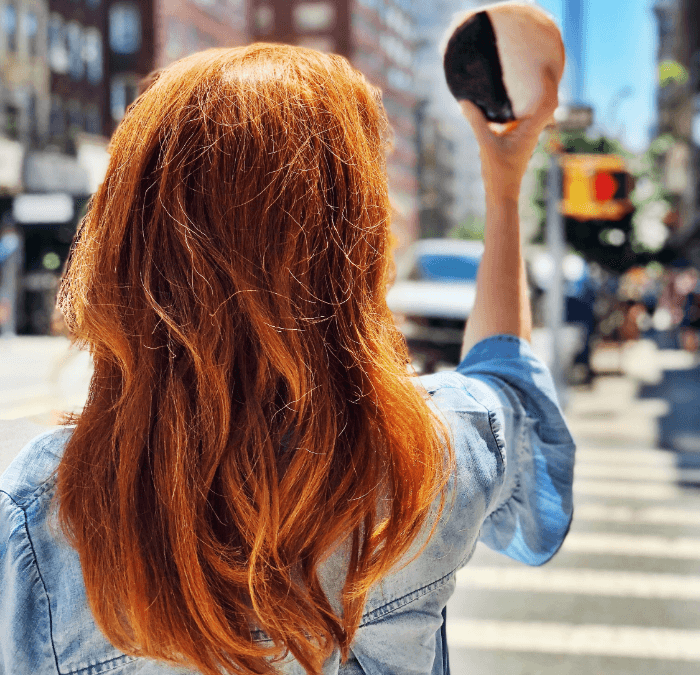 EAT is a must, must, must…..one of my EVERY time stops for lunch and gifts with each trip to NYC!! Love!!! Me too! Great food, great location! I can’t wait to visit NYC. a lot of things to do and see. Can’t wait for our next trip to NYC to check out some of these suggestions Mary! My girls and I love to stroll Madison Avenue every single visit!!! Oh good! 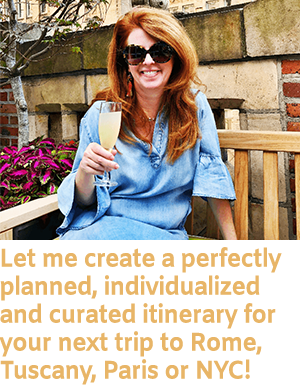 Let me know your favorite Madison Ave. spots Elizabeth!!!! Ooo! Thanks for the tour! I haven’t been to NYC in far too long, so I love this!